The Adelaide Zero Project Dashboard tracks our progress towards achieving and sustaining Functional Zero street homelessness in the inner city. This data will initially be updated monthly, but is intended to be updated in as close to real time as possible. Functional Zero street homelessness is achieved when the number of people sleeping rough in the inner city is no greater than the housing available in that month, and this can be consistently proven with data. This dashboard is our way of proving that. In Connections Week (May 2018), 200 trained volunteers identified 143 people who were sleeping rough in the City of Adelaide. This information was used to create a By-Name List to help inner city homelessness services to know the names and needs of those sleeping rough. Homelessness is a dynamic issue and situations can change daily for people who are experiencing this. Functional Zero is a dynamic measure of this complex issue. As the Adelaide Zero Project progresses and our homelessness system improves, we expect these numbers to rise and fall until the system successfully sustains Functional Zero street homelessness. The Adelaide Zero Project Dashboard is a collective effort of over 36 organisations.  Connections Week was led by Hutt St Centre and the By-Name List establishment has been led by Neami National. The dashboard has been made possible thanks to the support of the Broadley Trust. 1 As the Project progresses and more data is collected, these measurements will be added to the dashboard to track our progress towards Functional Zero. 2 ‘Housed’ refers to people on the By-Name List who are now in secure housing and have signed a lease. 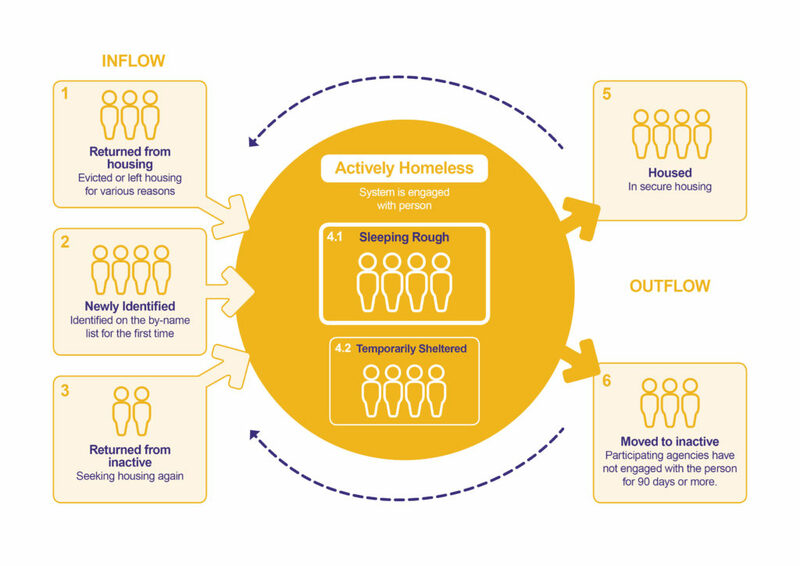 3 The inactive figure indicates the number of people who have not been in touch with the homelessness system for 28 days. This could be for many reasons including hospitalisation, moving out of Adelaide or the individual has obtained housing independently. Further work is being done to determine the number and how to better capture the people on the inactive list who have obtained housing independently of the partners in the Adelaide Zero Project. 4 Updated on the 18th of each month to align with the implementation of the By Name List on 18 May 2018. This graph shows the number of people known to be sleeping rough in the inner city each month. This data is from the By-Name List, which was established 18 May 2018 (Connections Week) and is used to track progress on the Dashboard above (launched August 2018). The dashed vertical line marks Adelaide’s first Connections Week and baseline data for the Adelaide Zero Project. Figures from June 2007 – September 2017 are Inner City Rough Sleeper Street Counts (Source: Housing SA). Fewer people were approached during the Street Count in September 2017 (136 people) than in May 2017 (225 people). Given the lower numbers of people approached to participate in the September 2017 Street Count, the apparent reduction in people sleeping rough at that time should be interpreted with caution. The vertical lines in May 2011 and February 2013 also reflect methodology changes to the Inner City Street Count.